Our backyard. The reason we bought an ugly house and are remodeling. 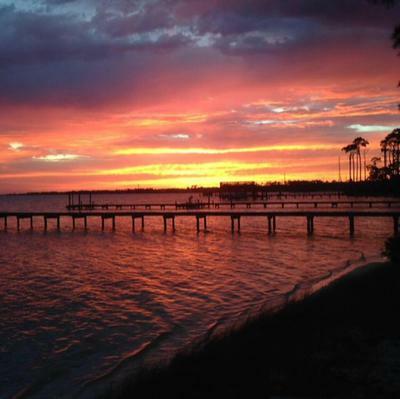 On the sound of the Gulf of Mexico. Zillow picture from long ago. 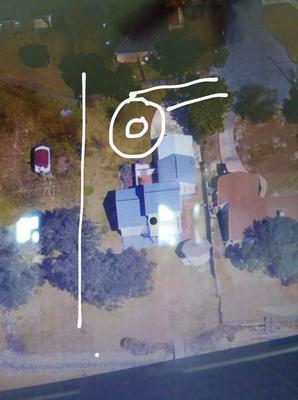 I would like to design a full circle drive for my property. The street entrance (in a cul de sac) is on the left of the house as is the garage. This creates a curb appeal problem as the front of the house is not visible from the road. I am hoping that my guests could enter the top of the property and circle around, bringing them more in front of the house. The existing driveway pulls directly into the garage which is NOT attractive. LOL. My main question is how small can the radius of the circle be to accommodate cars? I have 5 children who all have cars and visit frequently. And my 88 year old parents are living with me and my dad is still driving so his car is here as well. Not to mention mine and my husband's cars. YIKES. That's a lot of cars without any visitors who are here daily. I have googled circle drive radius but not finding anything definitive. Thank you in advance for any help you can give! From the front "stoop" to the front fence I have about 53 feet. And from side to side about 67 feet. The radius of the center circle of a circle drive is 25' or a 50' diameter. This radius allows cars (not all trucks)to circle. Small delivery trucks like UPS are OK. The width of the driveway at least by the house needs to be 18', so cars can pass one another. You want a driveway without a bottleneck. Can you pull some parking off of the circle? It sounds like you have a small space to accommodate a number of cars. 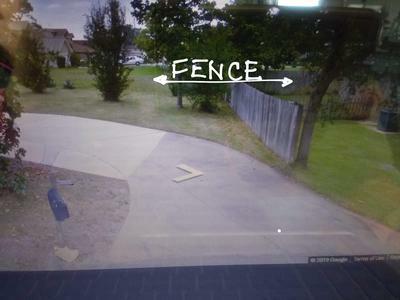 Can you relocate the fence to give you more room by the house?